MEGA HIT! 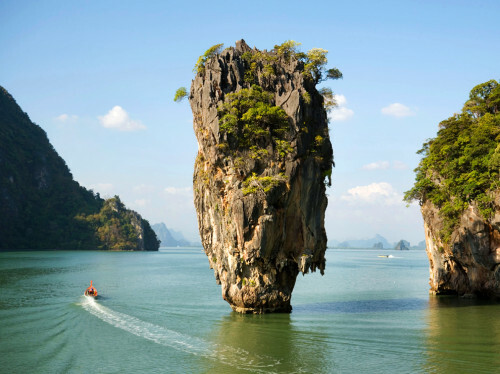 Flights to Thailand: Bangkok for €288! Today’s indeed very special day, thanks to numerous really incredible promotions. Sri Lankan Airlines now offer super cheap multicity flights to Thailand. 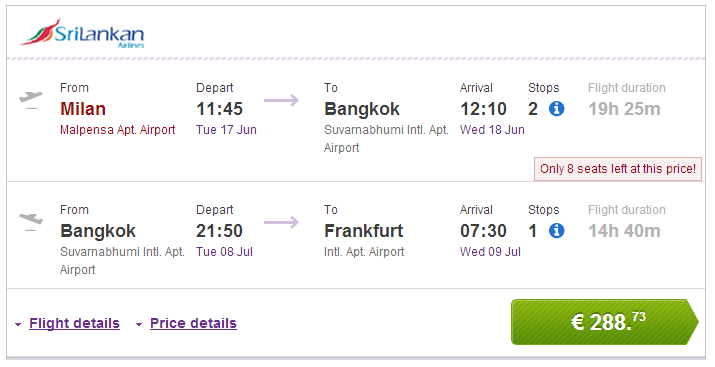 Tickets on route Milan Malpensa – Bangkok – Frankfurt will cost you only €288! You can also fly from Rome for €290, that’s just €2 more! Travel dates are in May and June 2014 which is still great time to visit Thailand. Book via BudgetAir for the best price (click on Show extra search options to enter return to Frankfurt). Any deals for similar dates, to and from Istanbul? And/or return from a different city, example: Ist – Bangkok, Jakarta-Ist, or Ist-Kuala Lumpur, Bangkok-Ist? hi Anil, there’s currently no other deal in this price range from Istanbul. you can combine this ticket with flight to Kuala Lumpur and return from Bangkok for the same price. i would suggest booking connecting flights to Rome/Milan and Frankfurt because even with those connecting flights you should get really good price! « WOW! Cheap flights to South Africa: Johannesburg for €336!